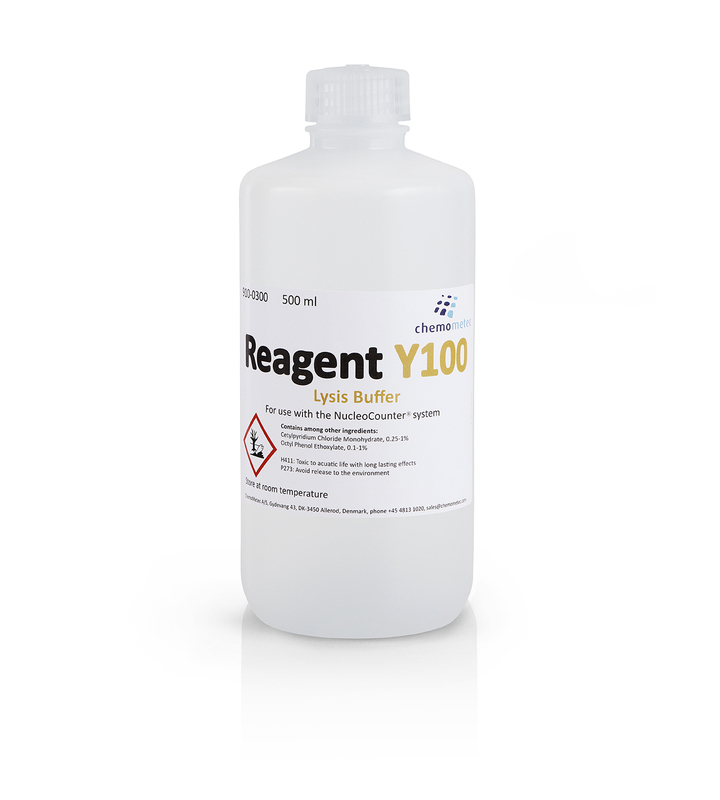 The Reagent Y100 is used to disrupt the plasma membranes of the yeast cells, rendering the nuclei susceptible to staining with propidium iodide (PI). 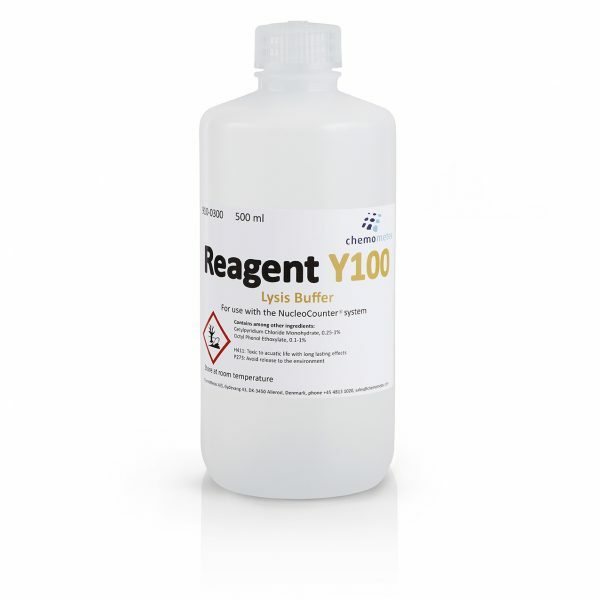 It is recommended to use 1:10 volumes of sample and Reagent Y100 (e.g. 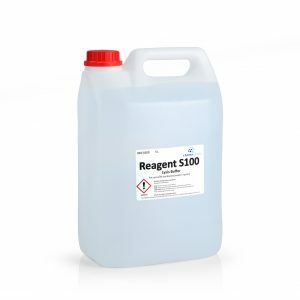 50 ml of sample and 450 ml of Reagent Y100). 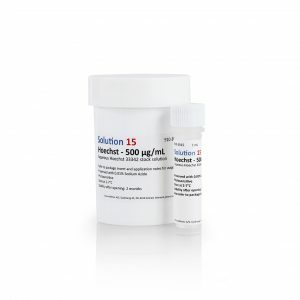 If the sample media is a coloured solution, such as beer or wine, a dilution prior to the use of Reagent Y100 may be necessary to avoid the colour affecting the fluorescence intensity detected from the cells. Please contact ChemoMetec for further information. Used to determine the total amount of yeast cells in a sample using the YC-100™ and NC-3000™.